Designing the Newsfeed was part of a bigger design challenge of getting 28-36 year old female shoppers to use Wanelo more. Understand an older demographic of female shoppers to inform product development choices, specifically around curation and narrative. • Spends a fair amount of money and time doing so. We conducted in-depth interviews with 8 women based in SF. Narratives help drive discovery and interest. They gravitate towards products, brands, and stores with “depth”, i.e. ones that provoke the imagination, have a great backstory or point of view, or that enable them to tell a story. Our existing feeds were algorithm-based, they did have the uniqueness that comes with a person telling a story. We chose a few users who had interesting profiles, and asked them to come up with stories using a combination of photos of themselves and products on Wanelo. 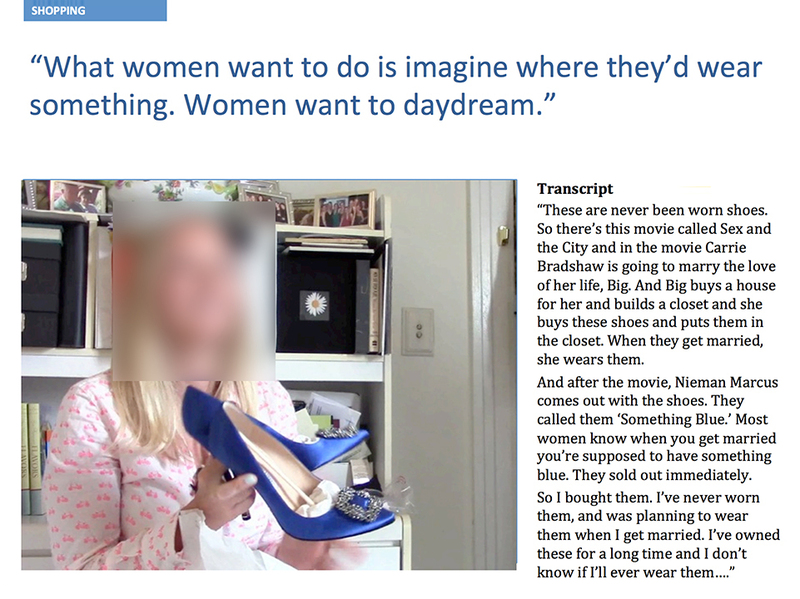 We then put all these stories into one feed, and added a "Wanelo model" label to the users' profiles. The newsfeed is the most social feed in the app, and has a dedicated following. We are still working on building a large enough community around it before promoting it to the main home screen.